If not, then to create a dropdown click in a cell where you want to have a list appear, choose the Data tab and then Data Validation. Click List and then create a source for your list. Click List and then create a source for your list.... Thanks for replying. As I understand, using this method provides a select box in the form. 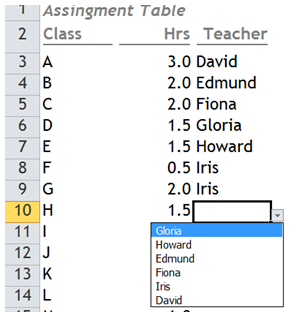 Whilst I will want to do this, my main objective is to provide the same select input on every row in one of the columns of the table, and provide in-line editing. Thanks for replying. As I understand, using this method provides a select box in the form. Whilst I will want to do this, my main objective is to provide the same select input on every row in one of the columns of the table, and provide in-line editing. Hi Renat, I think in this case we need to "model" the sorting. We could create a Service Component model that contains the Data Service + Sort Operator. 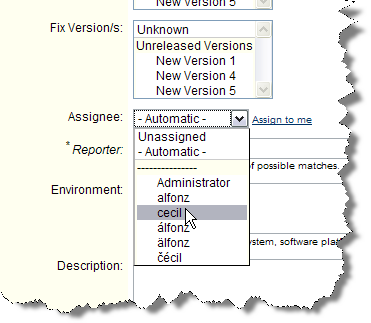 By doing this you can use the "Results" column to build a dynamic dropdown list with unique sorted values from a datasource as well as have an option "All" at the top of the dropdown giving the end user a great filtering or sorting tool! With a dynamic drop down list, when you delete or add months the list changes to accommodate that action, whereas a normal list does not. We have written tips on how to create a static and dynamic drop down list using and the Table option.